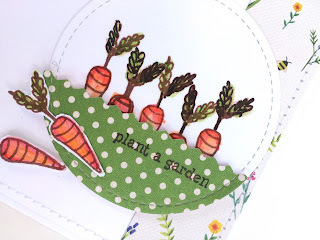 It is time for the gardens here in New England to plentiful. 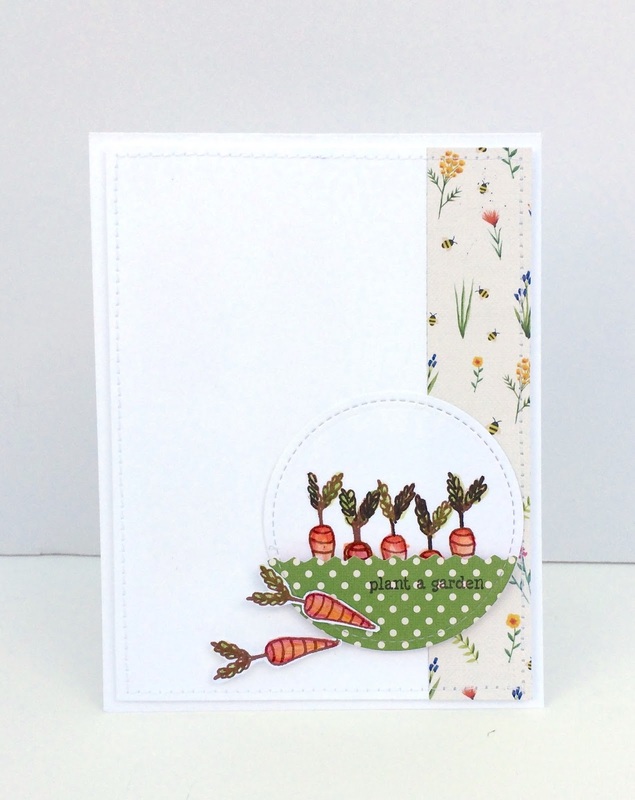 My favorite vegetables are cucumbers, beets and carrots! 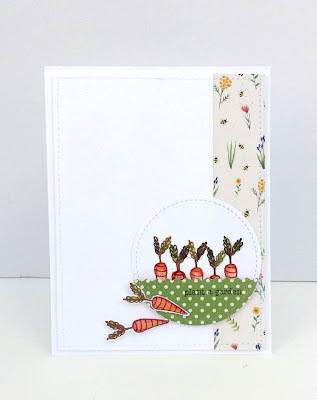 So, I thought I would plant a garden on a card for you using the Creative Cafe August Kit - Farm Fresh.